View Poll Results: Who's next? 18. December is next deadline. 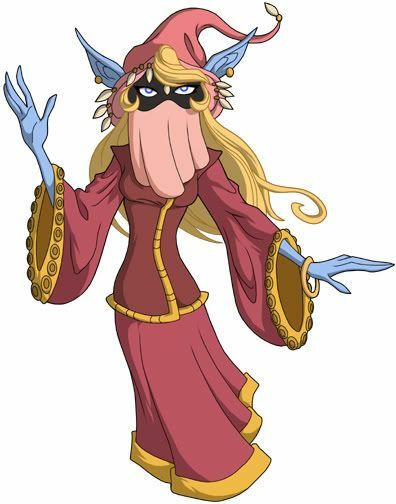 Dree-Elle has many appearances in cartoon and she has played role in one star comic too. We have seen one picture of her also in new line (in last comic), but let's see what kind of Dree-Elle you wuold create for 200X line. Will do commissions for loose 200X Evillyn or Roboto. Guarantee: if not happy with pic, no need to send fig! Cool, I have already sketched my version of Dree-Elle. I got some school stuff to wrap up tonight, but then I should be able to ink and color it before the deadline. Looking forward to seeing everyone's designs! Here is a version I've dug out of my arcives to be submited to the challenge. Eternia: The Dark Years: Enter Eternia a world that has fallen to the hands of the Evil Horde. My art (mostly MOTU related ) please feel free to comment. I saw the thread. Went to do a little sketchin' this morning. I don't intent to take it any further, but it was sure fun to do! Last edited by Baena; December 5, 2006 at 02:36pm. I believe is was issue #8 of volume 3. The last MotU comic made. It looks very pretty, I like the way you did the hair a lot! Is the official redesign actually printed in the comic??? If so I've have totally missed it. Lots of fresh organic energy in that pic Nate. But don't you think she's a bit thin and tall for a Trollan? I do remember the design in the comic being with similar proportions tho.. Cool pic, but someone PLEASE feed this girl! I love it... All of the sudden you guys are experts in Trollan anatomy? I thought this was a RE-DESIGN. So, would you ever want to be a model? Oh wow, I can see Baena and I are thinking alike on this one. I based mine on the 4 Horsemen Orko, so mine is also slightly more elongated than the original. Also I went with an I Dream of Genie flourishes just like Nate did (or I think that's what you did, Nate). Dang, I've got to learn to use painter. These are so Awesome. I've been trying Dree-Elle for days now & haven't had the slightest luck with a good redesign. But THese are just Too good. It's going to be really hard to vote fr any of these. Last edited by nightwing. ; January 14, 2007 at 01:45pm. I feel bad for forgetting her name, but there was an artist on the boards for a couple formitive years that pretty much only drew Dree Elle and had some really nice redesigns. What happened to her? Baena and gbagok your designs are amazing but this one is as whimsical as the original Dree-Elle was intended to be! But all around AMAZING work!